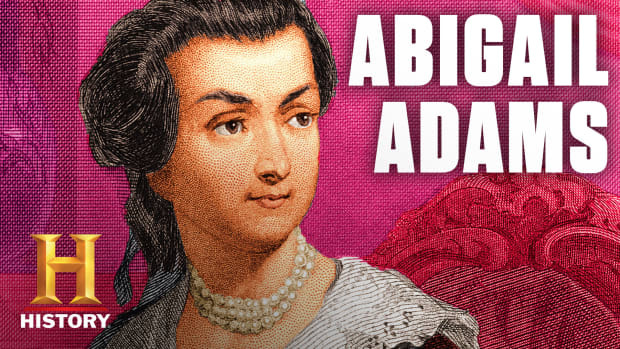 Abigail Adams was one of only two women to have been both wife and mother to two U.S. presidents (the other being Barbara Bush). 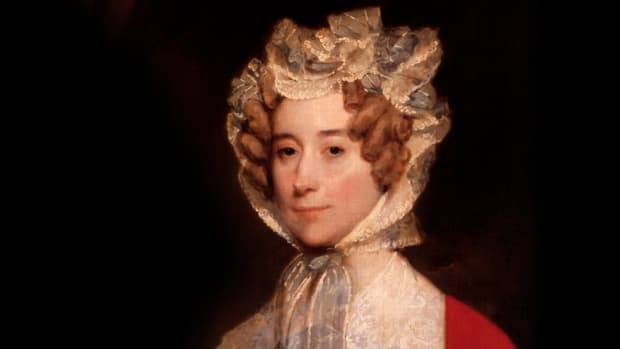 Often separated from her husband due to his political work, the self-educated Abigail oversaw the family’s household and largely raised their four children on her own, all the while maintaining a lively lifelong correspondence with her husband on the political issues of the day. 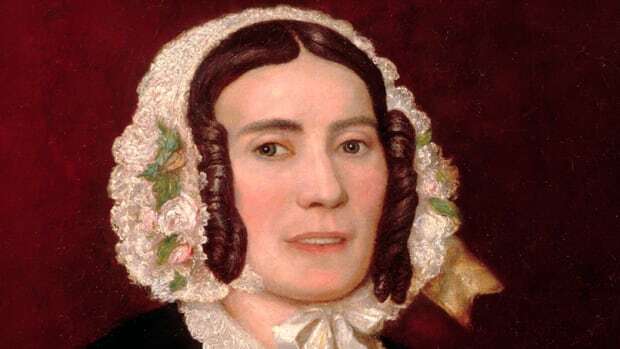 She was also famous for her early advocacy of several divisive causes, including women’s rights, female education and the abolition of slavery. Born in 1744, Abigail Smith grew up in Weymouth, Massachusetts, a village some 12 miles from Boston. Her father, William Smith, was minister of the First Congregational Church there, and also made a living as a farmer. He and his wife, Elizabeth Quincy Smith, both belonged to distinguished families in New England. 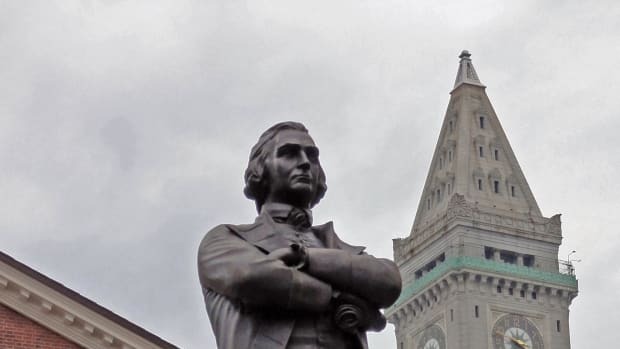 Elizabeth’s father, John Quincy, was active in the colonial government and served as Speaker of the Massachusetts Assembly for 40 years, and his career in public service greatly influenced his granddaughter. Educated at home, Abigail read widely from the family library. When she was just 11, she and her sisters began receiving tutoring from Richard Cranch, a transplant from England who later married Abigail’s elder sister, Mary. A friend of Cranch’s, a young lawyer named John Adams, met 17-year-old Abigail and fell in love. After a long engagement that her parents insisted on, they married on October 24, 1764, when Abigail was 19 and John was 28. Just nine months after their marriage, Abigail gave birth to the couple’s first child, Abigail (called Nabby). She would have six children in all; four lived to adulthood, including Nabby, John Quincy (born 1767), Charles (born 1770) and Thomas (born 1772). 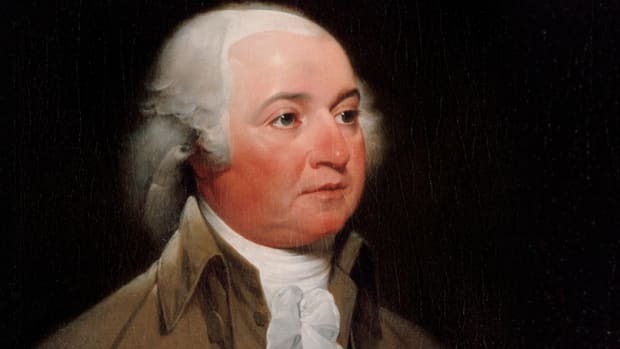 In 1774, as the tensions between the colonies and Great Britain threatened to burst into violence, John Adams headed to Philadelphia for the First Continental Congress. He and Abigail began writing regularly to each other during this period, beginning what would become a voluminous and historic correspondence. Though her husband replied somewhat jokingly to her appeal – expressing fear of the “Despotism of the Petticoat” – Abigail later pushed back, making it clear that she was serious about the implications that liberty from the British had for the status of women in a future independent republic. 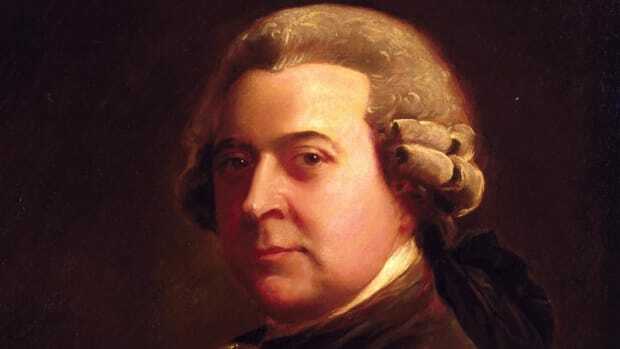 In the years after the Revolutionary War, John Adams served as the U.S. minister to France and then England. Abigail remained at home at first, keeping her husband well informed about domestic affairs in her letters. She joined him in Europe in 1784, and they remained abroad for five more years, returning home in 1789 so John could assume the vice presidency under George Washington. Over the next decade, Abigail divided her time between the U.S. capital (first New York and then Philadelphia) and Braintree, where she managed the family farm. In 1793, Secretary of State Thomas Jefferson stepped down amid serious fissures between the Federalists and anti-Federalists (known as Jeffersonians) in Washington’s cabinet. 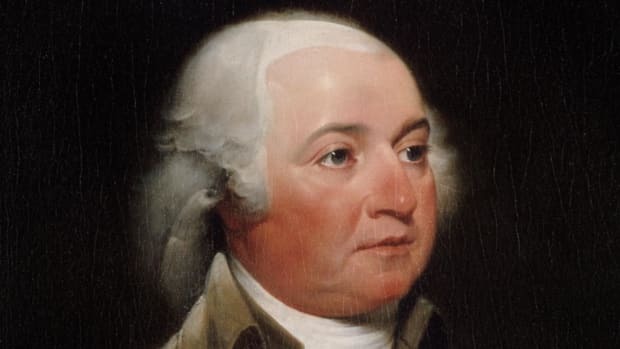 When Washington announced his intention to retire in 1796, John Adams emerged as the leading candidate on the Federalist side, with Jefferson as his main opponent. Abigail, like her husband, had considered Jefferson a good friend, and regularly written letters to him, but their correspondence stopped during once he and John Adams began competing against each other for the nation’s highest office. Abigail spent much of her husband’s time in office at home in Massachusetts, but in 1800 she moved with him into the new presidential mansion in Washington, D.C., becoming the first first lady to live in the White House. Their son Charles, who had struggled with alcohol abuse, died a few days before the election, which hit both Adamses harder than the loss of the presidency. In retirement, Abigail maintained a brisk correspondence, including a renewed relationship with Jefferson (with whom John Adams would exchange letters until they both died on the same day in 1826, the 50th anniversary of the Declaration of Independence). She and John saw their son John Quincy’s political career prosper, including a diplomatic post in London and his appointment as secretary of state under James Madison in 1817. Unlike John, Abigail would not live to see John Quincy Adams elected as the nation’s sixth president in 1826. She died at home in Quincy in October 1818, at the age of 73. Abigail Adams refused during her lifetime to allow her correspondence to be published, judging a woman’s letters to be a private matter. But in 1848, her grandson Charles Frances Adams (John Quincy’s youngest son) arranged the publication of her first volume of letters, preserving forever her unique experience and perspective on American life and democracy. Diane Jacobs, Dear Abigail: The Intimate Lives and Revolutionary Ideas of Abigail Adams and Her Two Remarkable Sisters (Ballantine Books, 2014). 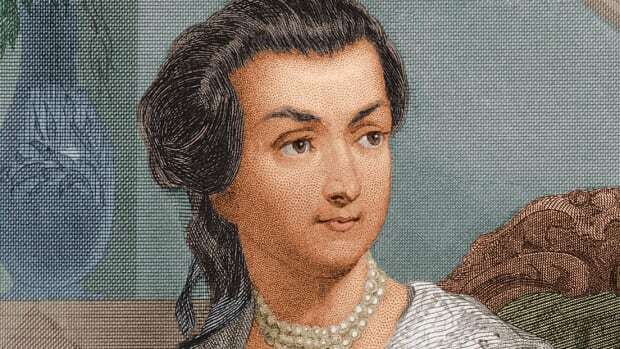 First Lady Biography: Abigail Adams, National First Ladies’ Library. Abigail Smith Adams, National Women’s History Museum. The Adams Children, PBS: American Experience.